Africa bis zur Eroberung durch die Araber im 7th Jahrhundert. This fascinating hand colored map depicts Africa prior to the Arab invasions and subsequent costal colorizations of the 7th century. Most of South and central Africa is completely unknown. 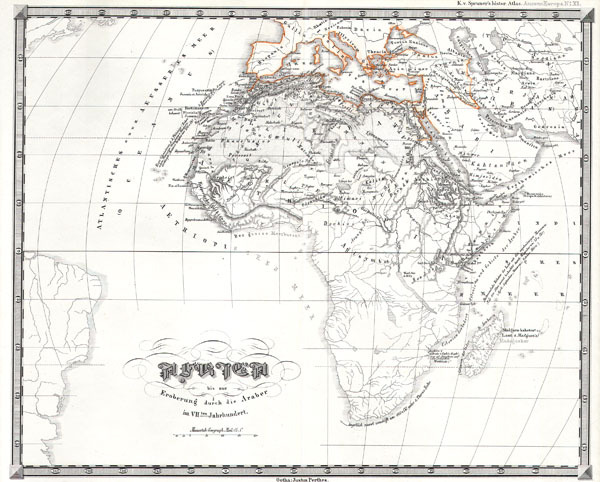 Published as part of Karl von Spruner's Historical Atlas of 1855.